Step 1. Why do you want a reading? 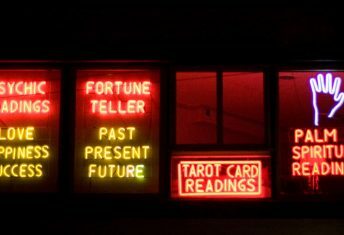 This may seem like a silly question, but people have all kinds of reasons for seeking a psychic reading. Some enjoy the pure entertainment value and are not necessarily looking for any serious dialogue (this is perfectly fine, by the way!). Some have specific career, money, relationship or love questions. Others are seeking spiritual guidance or healing. Still others want validation of their own intuitive sense about a situation or relationship. A few are looking for a longer-term relationship with a guide who can help them on a journey toward achieving their highest and best good. It’s important to be clear about what you expect to get out of a reading, before you decide whom you will call on to give you that reading. A psychic reading has the potential to give you important insight into your feelings and actions, and can help you feel more confident about your own intuitive guidance. But that can happen only if you are willing to allow someone to tell it like it is, rather than tell you what you want to hear. You may not be ready for that, so honestly assess yourself and your motives before you move on to step two. Step 2. Who should you ask to give you a reading? 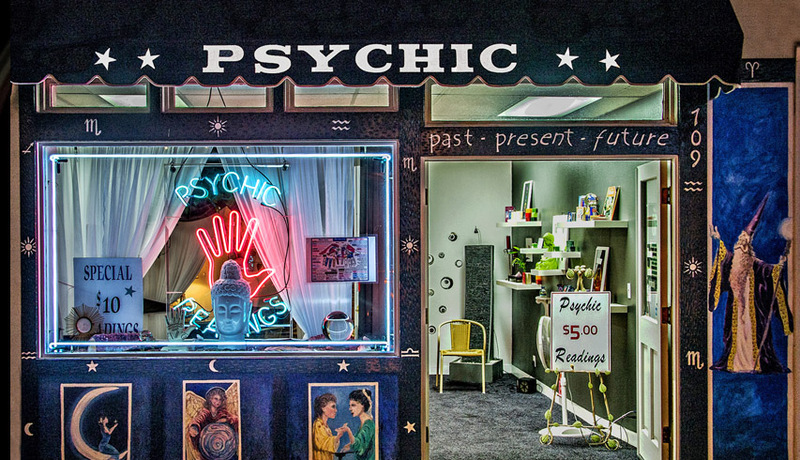 The best way to find a psychic is through a personal recommendation. If you don’t have that, or if you think you are looking for something different, let your intuition “guide you while you Google”. 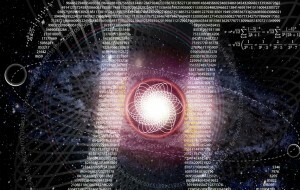 Once you’ve identified a few potential psychics, check them out thoroughly. Read their website and look for reviews. Many psychics have free online radio shows on platforms like BlogTalk Radio. When you listen, pay attention to how they talk to callers, because that is probably how they will talk to you. Style is important: are you looking for someone blunt and assertive or gentle and soft-spoken? The red flags are usually obvious: Guaranteed results. Curse or spell removals (for large sums of money). If you read or hear anything that makes you feel intimidated or frightened, or you simply get a bad vibe, then that is not the right psychic for you. A good psychic will not make you feel badly about yourself, but will be positive and life-affirming. Note this does not necessarily mean s/he will tell you what you want to hear! Step 3. Preparing for your reading. 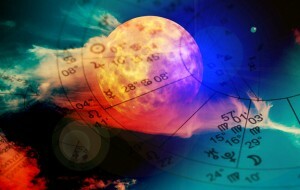 Now that you have found your psychic, make sure your date, time, and place are all comfortable for you. You don’t want to have to worry about someone interrupting you or overhearing your private conversation. Find out ahead of time whether the reading will be recorded for you, or if you will need to keep notes during the reading. Write down the question or questions you would like the psychic to read on. 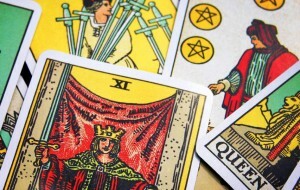 Be respectful and assume that the work you put in to identifying your psychic has paid off: Do not ask “test” or “trick” questions, or try to deliberately mislead or stonewall. This only hurts you. If you find yourself compelled to do this, ask yourself why you are so resistant. You wanted this reading! Immediately before your reading, put yourself into a calm frame of mind, perhaps with 5-10 minutes of meditation or prayer before the call or meeting. The more centered and peaceful you are, the more you will get out of the experience. Know that a good psychic is also spending time preparing to talk to you, so keep your appointment. If you must change it, give as much notice as possible. Step 4. Things to remember during your reading. Keep an open mind… but also keep your common sense. 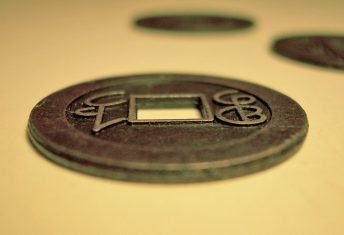 If a psychic insist s/he knows you better than you know yourself, tries to frighten you, shouts at you, makes you feel small or weak, or proclaims you’re cursed and the only way to get free is to send money, you have the right to end the reading. However, even during a good reading, you may hear things that don’t make sense at the time. Just take it in, you can always discard it later. Give it a few days, you may find that it resonates. While your psychic may tell you things that are hard to hear, you should feel affirmed, upheld, and heard. Step 5. After the reading. Remember that a reputable psychic does not encourage your dependence. S/he does not try to “chase you down” and force you to make another appointment, or follow up with “new information”. Again, you created this relationship, and you can end it. 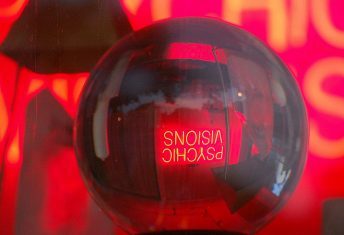 Disreputable psychics prey on perceived weaknesses, or on seeming to fulfill your deepest desires, so be strong in your own convictions and intuitive sense about any post-reading interaction. With your preparation and planning, however, you hopefully had a positive experience. If so, do something positive to spread the word. Let others know, by either telling them personally, or writing an online review. And psychics love to get validation, so let them know what effect the reading had on you. Following these steps will help you to have a more productive experience, whether you are preparing for your first or fiftieth psychic reading. And remember, a psychic can only give you a snapshot of what might be; you have the power to create your future, and you have your own intuitive sense to guide you on your journey.